Games of chance have always been a beloved pastime for people from all countries and backgrounds, and bingo is absolutely no exception. What began as a humble board game six centuries ago has become a multi-million pound industry. One thing is clear: with over 100 million people playing online throughout the world to win real money, Bingo has—and always will be—a great source of entertainment. 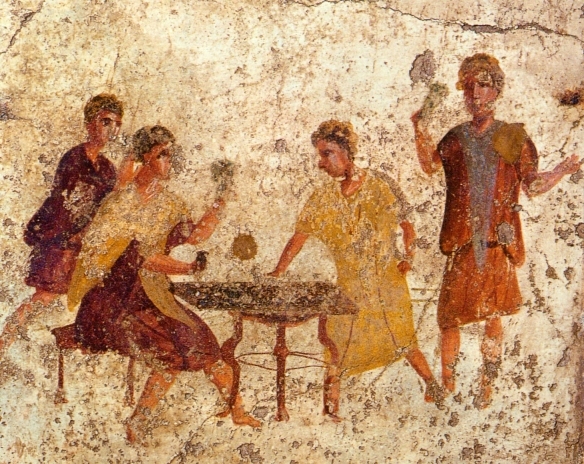 The original ancestor of our modern-day bingo game was created by the Italian government. In the 1530s, the Italian national lottery (Lo Giuoco del Lotto D'Italia) was first played in state-sponsored casinos, and was an excellent way for the Italian government to raise public works funds. The game itself was fairly basic: players got together once a week to guess which numbers would be drawn from ten draw wheels. Each wheel was named after a major Italian city: Venice, Turin, Naples, Rome, Genoa, Milan, Bariums, Cagliar, and Palermo. Each wheel would be drawn from five times, so there’d be fifty chances to get a winning number. Another fun fact: Lo Giuoco del Lotto has been going since the 1500s, and is still a great source of income for the Italian government. Le Lotto made its way into the French upper-class during the 1700s, where they’d play on cards separated into three rows and nine columns. The rows contained five numbers exclusive to the players, as well as four blank squares in a random order. Just like their Italian counterpart, players got together once a week to play. A caller used a bag of wooden chips containing the numbers, and the first person to cover a row was the winner. This exclusive game was quickly snapped up by the rest of French culture. How this game migrated to Britain is a bit cloudier, but most experts believe that the Maltese introduced it to the British navy in the early 1800s. 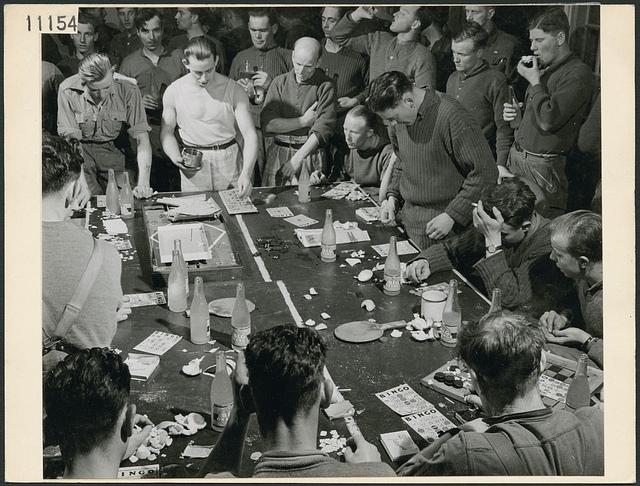 At this time, the British navy housed their Mediterranean fleet in Malta, and by the end of the 19th century, ‘Tombola’ was the game of choice. Unsurprisingly, this popular pastime spread throughout the British military, with the Army calling it ‘Housey-Housey’. While no one knows exactly where these names came from, the amusement it provided was evident. Most experts agree that the name ‘Bingo’ was coined in the United States by a toy salesman named Edwin S. Lowe, but did you know the original name was ‘Beano’? 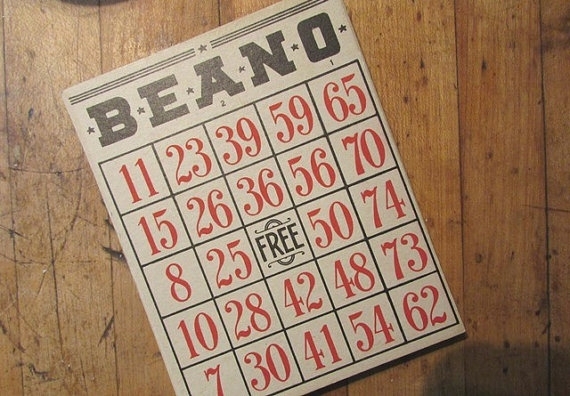 The ‘Beano’ game was standardised for carnivals throughout western Pennsylvania by Hugh J. Ward. The playing materials of dried beans, rubber stamps, and cardboard were cheap and accessible during the Great Depression, meaning everyone could join in the fun. Plus, the thrill of winning small prizes kept people coming back for more. The Beano excitement spread across the U.S., and by the time Lowe watched a spirited game near Atlanta in 1928, he saw a great opportunity to invest in the game. Bringing the idea back to New York, Lowe introduced close friends and family to Beano. 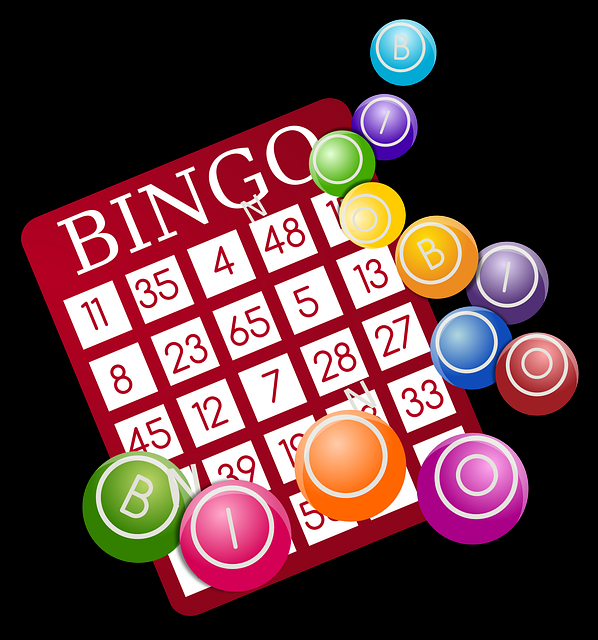 Legend has it that a woman at a party was so overwhelmed by excitement that she mistakenly called out “BINGO!” and the name stuck. Lowe’s Bingo game was soon produced, and a 12-card set would set you back $1.00. Unfortunately for Lowe, however, he failed to seek a patent on his name. 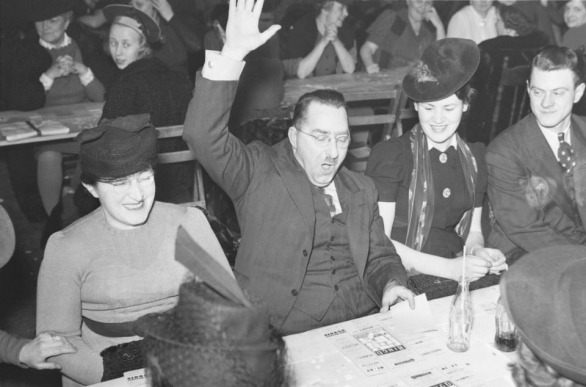 Churches and social clubs began using Bingo for successful fundraising events, but quickly realised that the Bingo cards provided resulted in too many winners. Lowe cleverly went to a Columbia University mathematician to develop over 6,000 varieties of the classic 5x5 card. By 1934, there were over 10,000 official Bingo games being held each week across the United States! It was inevitable that bingo came to the UK, and by the late 1930s, it was common for bingo callers to fix games by calling false numbers. To counter dishonesty, players alternated throwing a ball into a receptacle with 90 numbered compartments (unlike the typical 75 used in the U.S.) to keep everything fair, but each game started taking much longer to complete. Rather than waiting around in silence, the bingo calls we know and love were used to keep things moving along between calls. Interestingly, calls like “royal salute” (21) and “to Waterloo” (62) are directly from the military calls used in Housey-Housey over a century ago! In 1986,The National Bingo Game was launched, and is played every day throughout the UK except on Christmas Day. 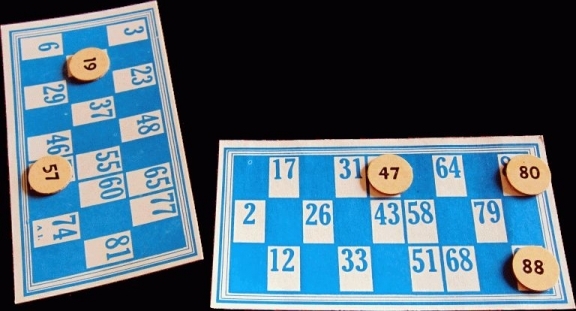 As technology advances, so does a simple game like bingo. Draw machines have become much more elaborate, which in turn keeps the game much fairer than it was 80 years ago. With jackpots in the hundreds (and thousands) of pounds in bingo halls and online bingo sites, bingo is set to remain a beloved pastime, even on our smartphones! Since 1996, bingo has been played online by British people (and around the world). At the beginning of the online craze, there were occasional scam sites that took advantage of uninformed users. The Royal Commission acts as a watchdog to ensure that top bingo sites abide by laws, and that individuals have equal chances of winning. Today, players who don’t even know how to play bingo can easily find reputable sites that offer online bingo tips and strategies to maximise winnings, and the offers have never been better! Along with signup bonuses and games of bingo free of pesky fees, it’s a great time to start playing bingo! Why not try one of our 75 or 90 Ball Bingo games today?